The city was burning—or it wasn’t. I am the city and you are my work of great mischief. 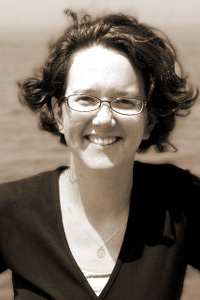 Lilah Hegnauer is the author of Dark Under Kiganda Stars (Ausable Press, 2005). Her poems appear in The Kenyon Review, FIELD, Poetry Northwest, and Ploughshares. She is an instructor in the English Department at James Madison University.